“What do we stand for?” – This was the main question of Ivan Fleming during the foundation of his company Truck and Bus Ltd. The managing director noticed very quickly, that the real vision behind the company was to achieve an excellent service and a good relationship with the customers as well as with the suppliers. When the company was established in 2010, Truck and Bus Ltd was a team of only 10 people: “The warehouse staff, the sales staff, the van drivers and me, the managing director – we were all one team”, remembers Ivan Fleming. This team decided to start their business in Ireland, when the economy was down, and tried to find certain suppliers who would help to set up the company with a qualitative high and broad range of spare parts. The insular state Ireland had to struggle still with the financial crisis in 2010, which began with the concurrent global economic crash in 2008. It was a special challenge to satisfy the customers in Ireland. Cash flow was the problem, so customers always wanted to get the best deal and compared prices very precisely. In this process, Diesel Technic was an important supplier and supported to build up a strong business for the future to present the customers with DT Spare Parts a brand, which presents a wide product range with high quality. “That’s our success story so far: It’s about a good and growing relationship to suppliers, customers and employees.” Today, Ireland is a state-of-the-art industrial and services society and was named Europe's third wealthiest country in 2016. The managing director Ivan Fleming still remembers his early days, when he walked through the transport company of his father. He always had a passion of go-carts, rally cars, vans and parts: “I can remember in my early age, what I wanted to do was actually to sell parts.” In 1993 Ivan had the first contact with Diesel Technic. Since this first involvement with the company, he had seen the development of the brand DT Spare Parts, for example by the thin Scania 3-series catalogue which increased to a library of 30 catalogues that are available now “I was always impressed by the dynamic”. “An important connection between the two companies is that Diesel Technic offers a full-range. We want to sell everything to the end user, the full package.” explains Ivan Fleming. Furthermore, both partners have an understanding of the business and help each other through their competence to move forward and push the growth for both sides. “What I really like is the personal approach of the company.” The business relationship with the people in Germany offers a great help to the Irish company. With the support of the Partner Marketing, Truck and Bus has already taken advantage of many marketing opportunities. So they are able to present the brand DT Spare Parts professionally on their website and at the Point-of-Sale. 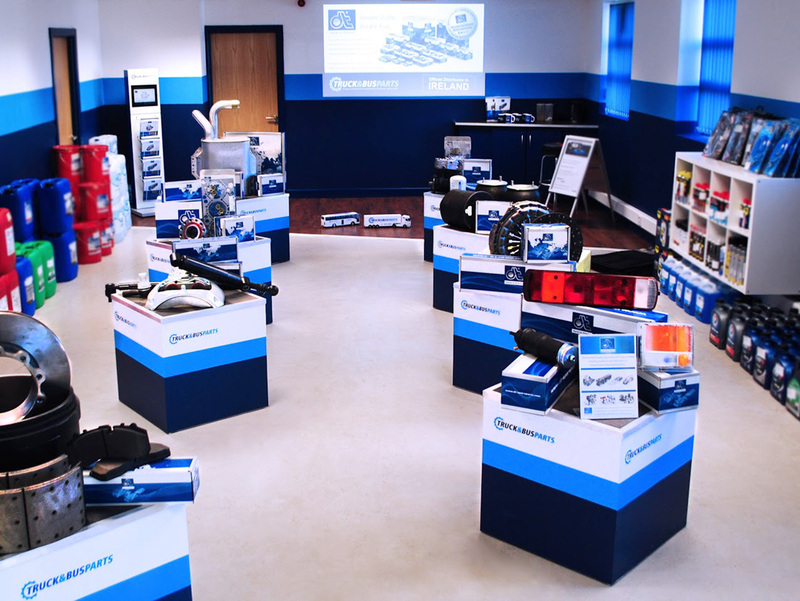 Furthermore the online shop was filled with product information and pictures provided by Diesel Technic. A next step in the development was the foundation of the subsidiary Diesel Technic UK & Ireland Ltd in Kingswinford near to Birmingham/UK. 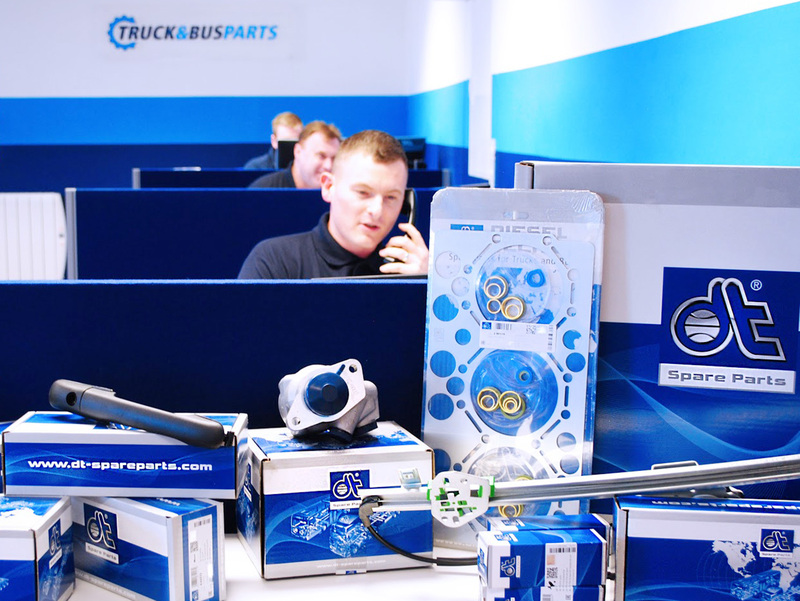 Truck and Bus Ltd benefits from an extensive support from their direct contacts. Also the availability of spare parts was easier and attended by faster deliveries. The guaranteed quality of the products is very important for the managing director: "I do not want to have my customer call me up and say, 'this part failed'. I want to be able to give him a saving and I want to grow his business." Only when the quality of the products is good, the customers buy them and continue to be customers. The managing director is determined to continue to fight against outside influences and move on as a partner of Diesel Technic, with the help of his team: “I’d like to grow as a distribution partner of Diesel Technic. We are really serious about selling and promoting the product brands. This is for Diesel Technic’s benefit, my benefit and my customer’s benefit - to grow our business together.” that’s the future vision of Ivan Fleming.